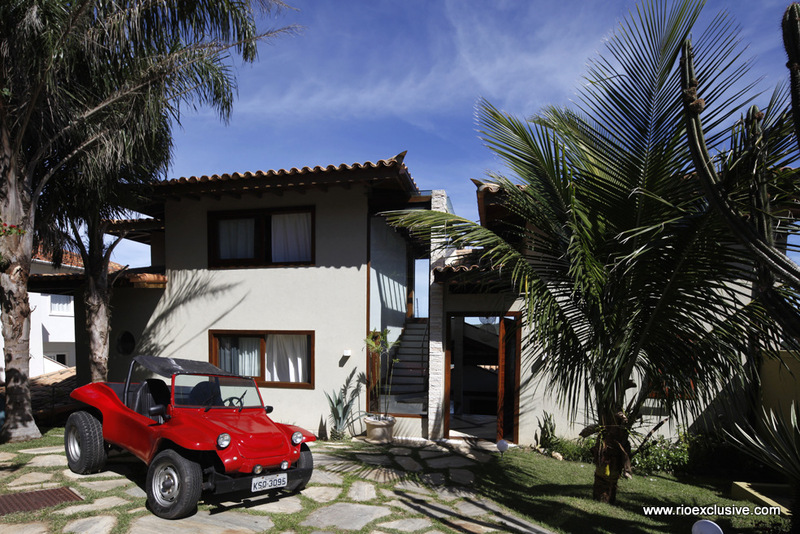 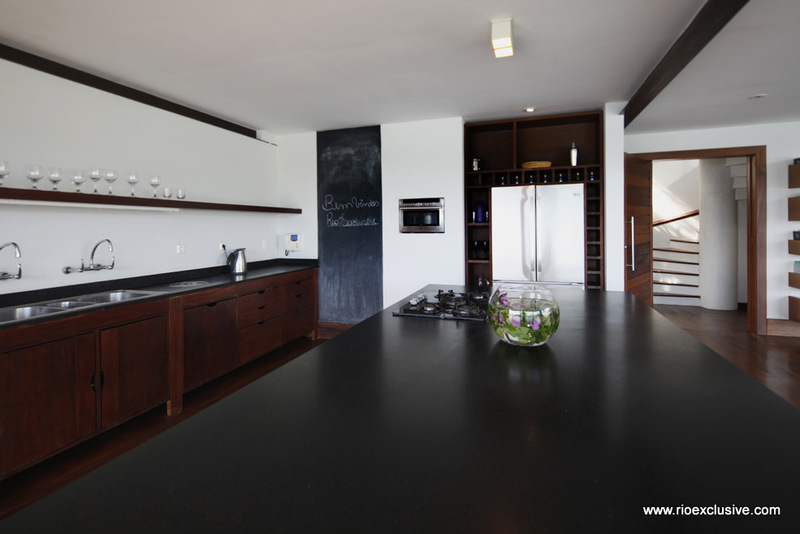 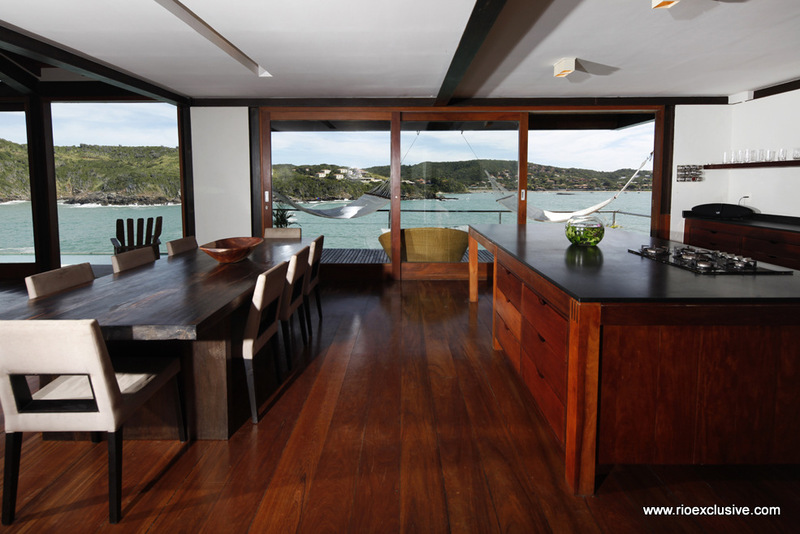 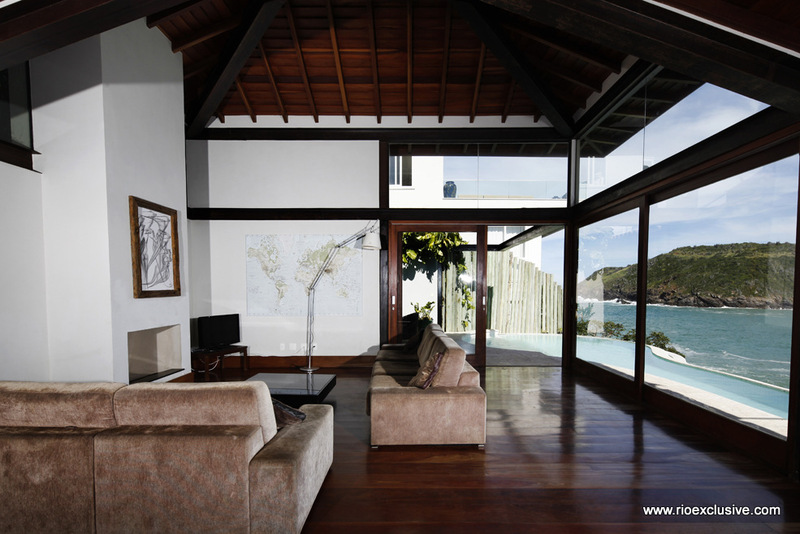 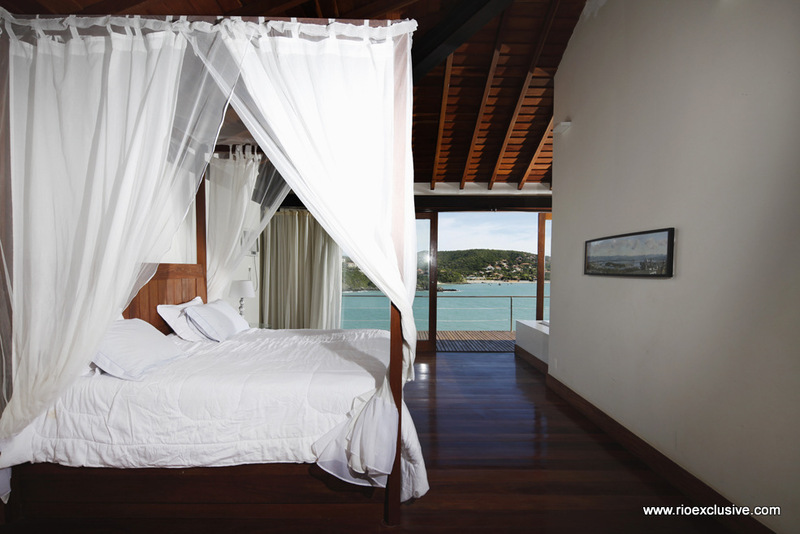 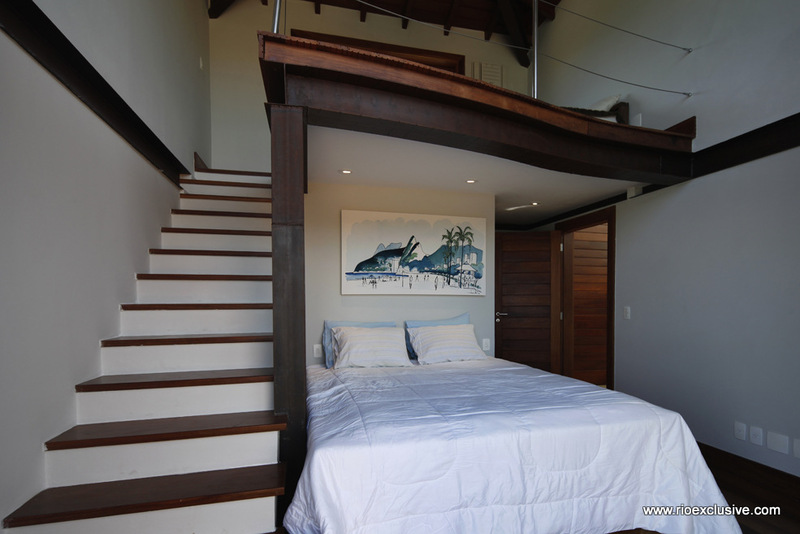 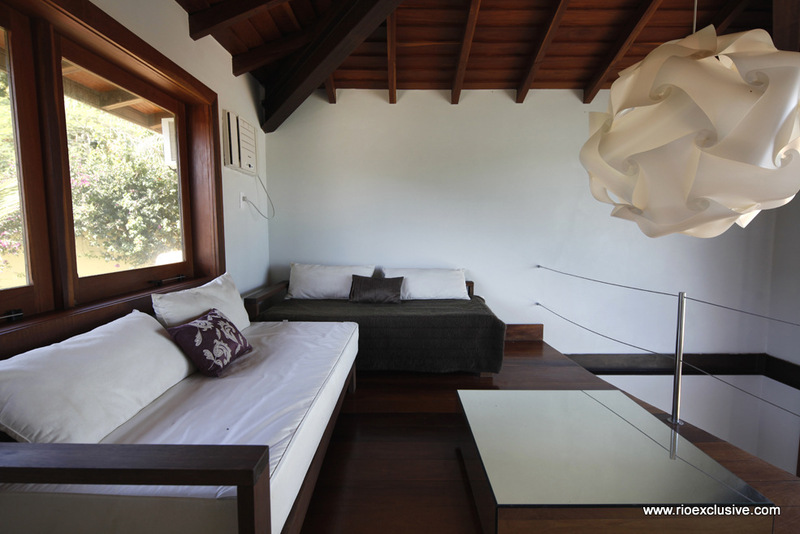 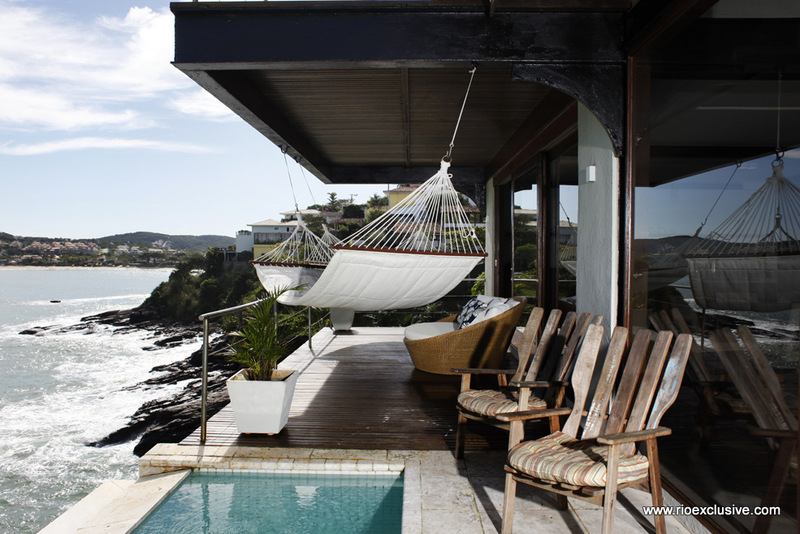 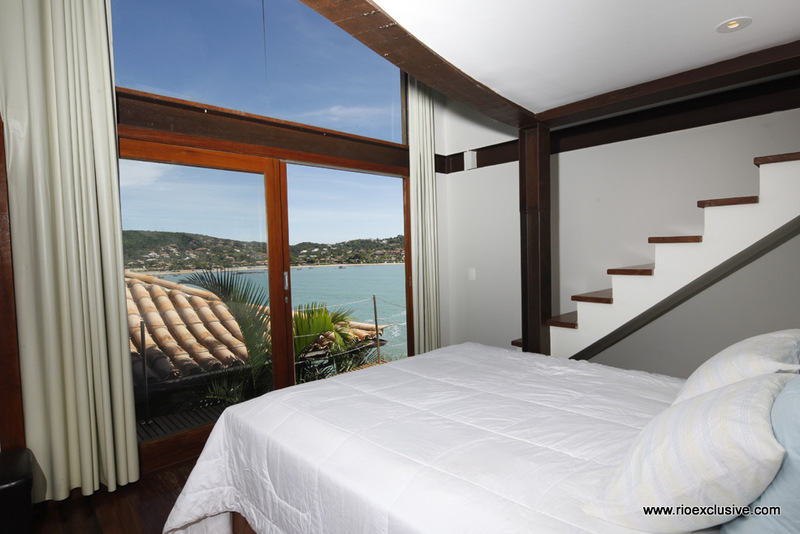 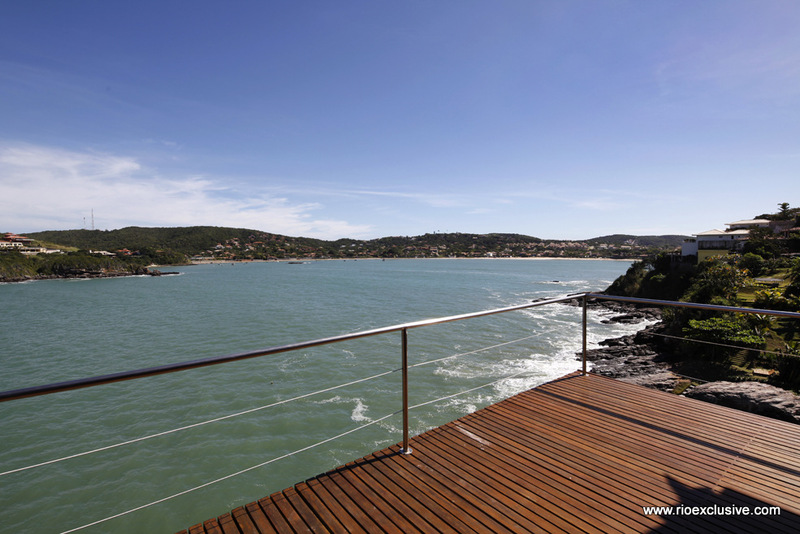 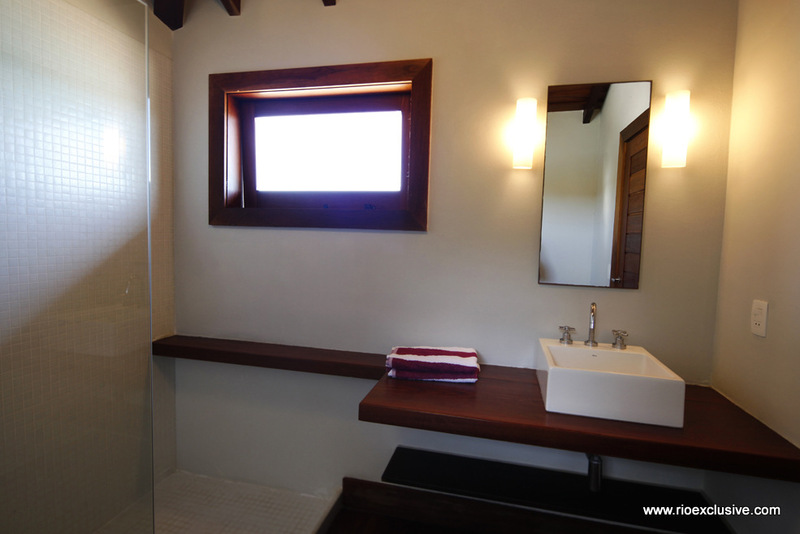 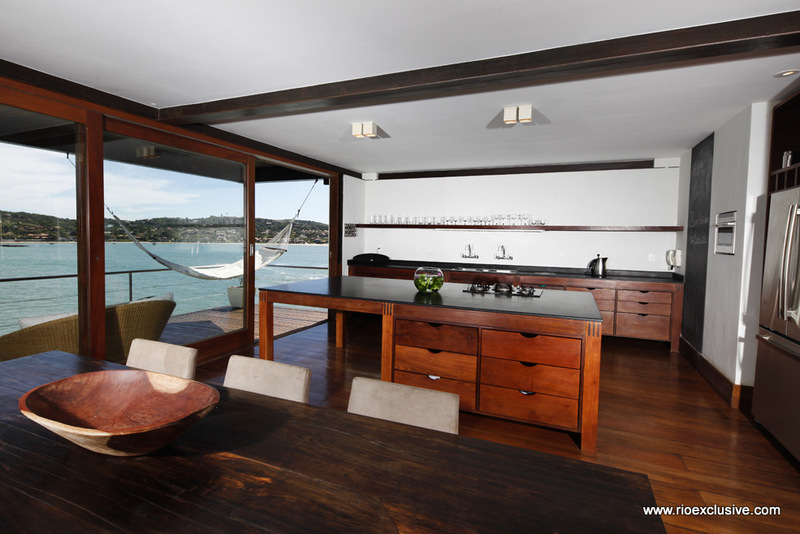 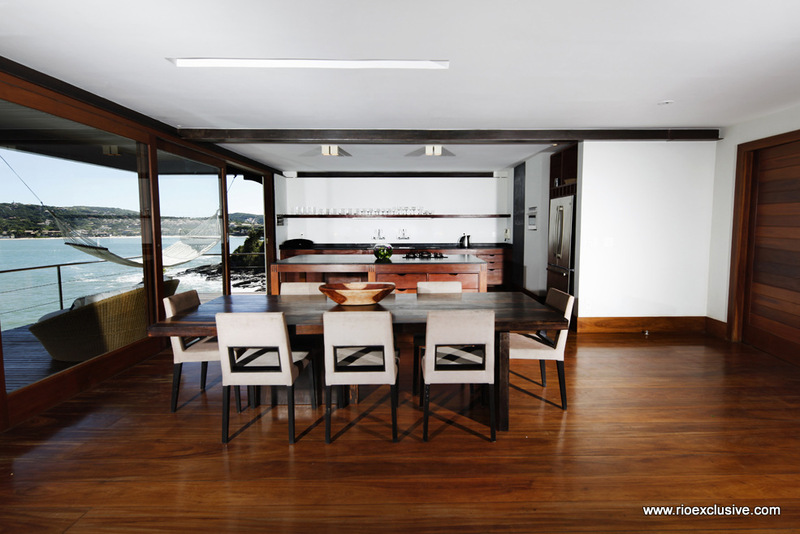 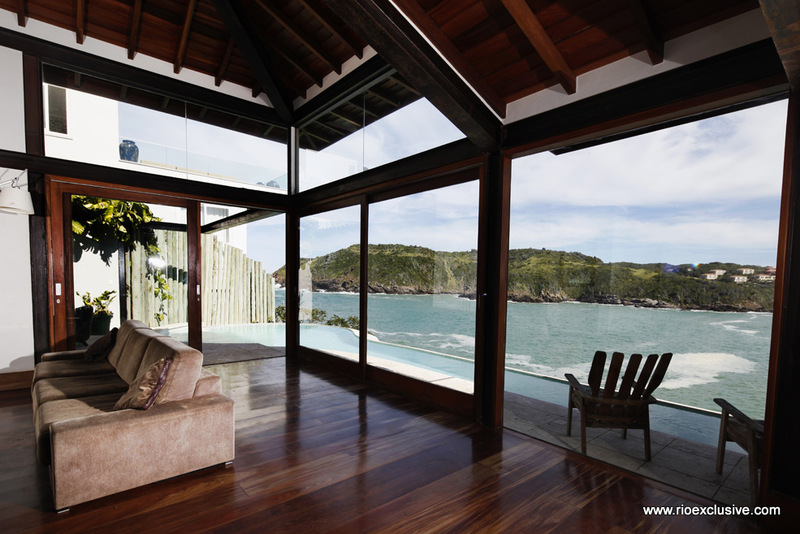 This luxury villa for sale near Praia Ferradura (Buzios) is the perfect investment opportunity. 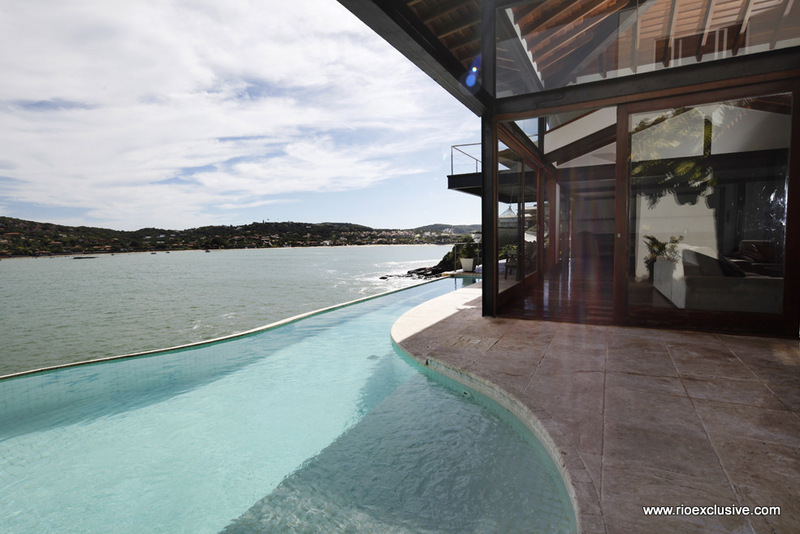 Modern European design meets tropical paradise in this beautiful 5 bedroom luxury home constructed on the coast of Ferradura bay. 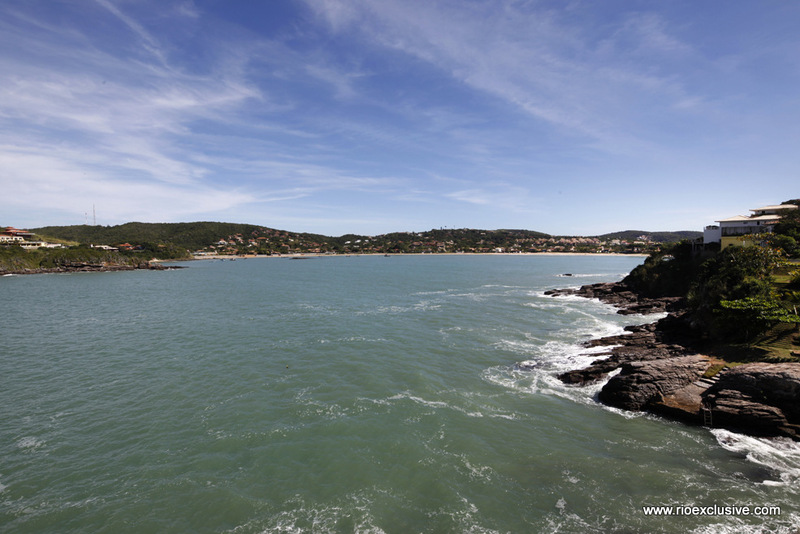 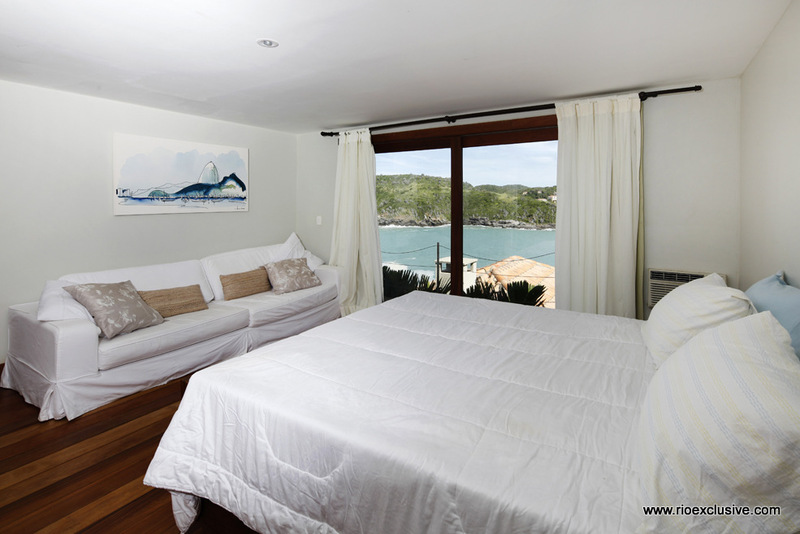 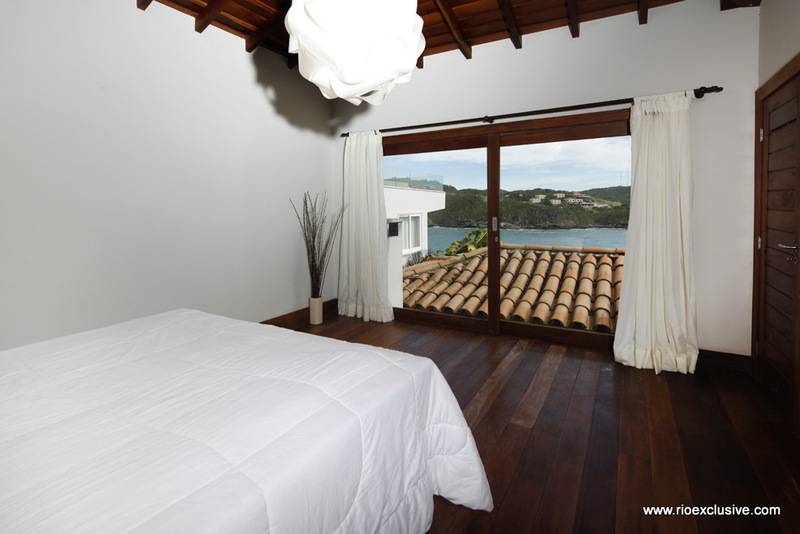 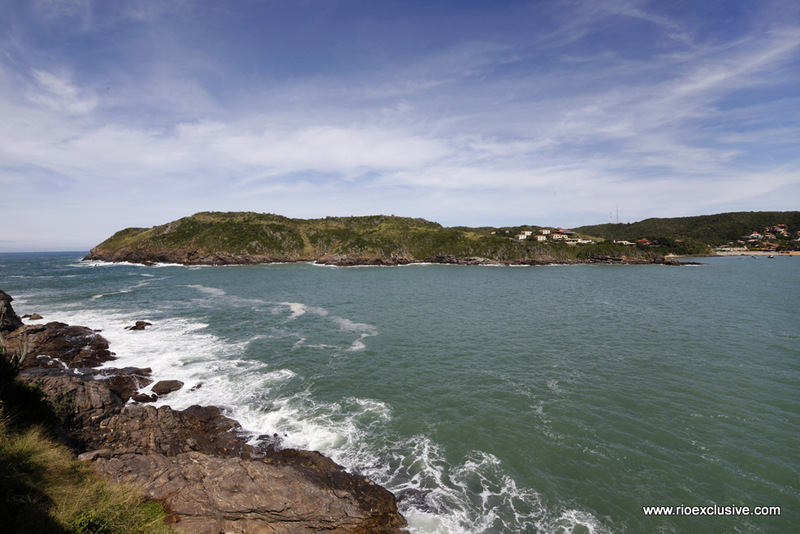 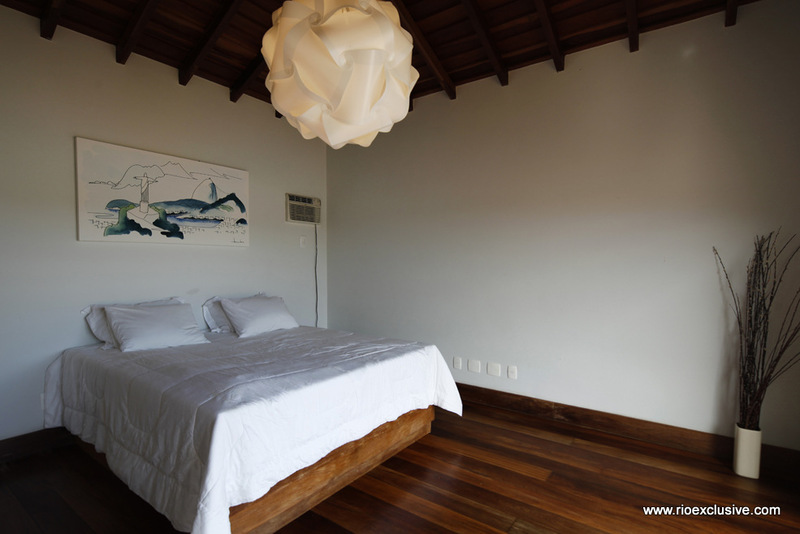 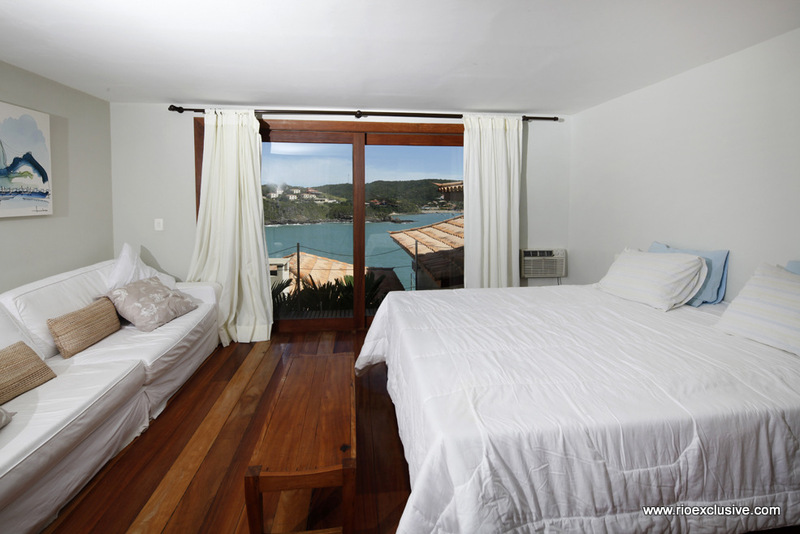 Close to downtown Buzios yet far from the eyes of tourists this property is the perfect choice for a sophisticated and private retreat. 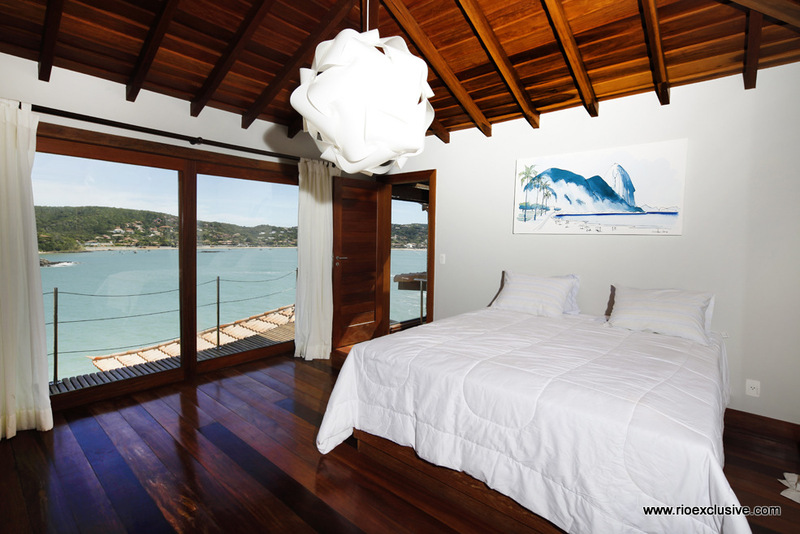 Every detail of this property from the natural yet minimalist incorporation of wood to the expansive windows helps to draw in and augment the serene beauty of the surrounding environment. 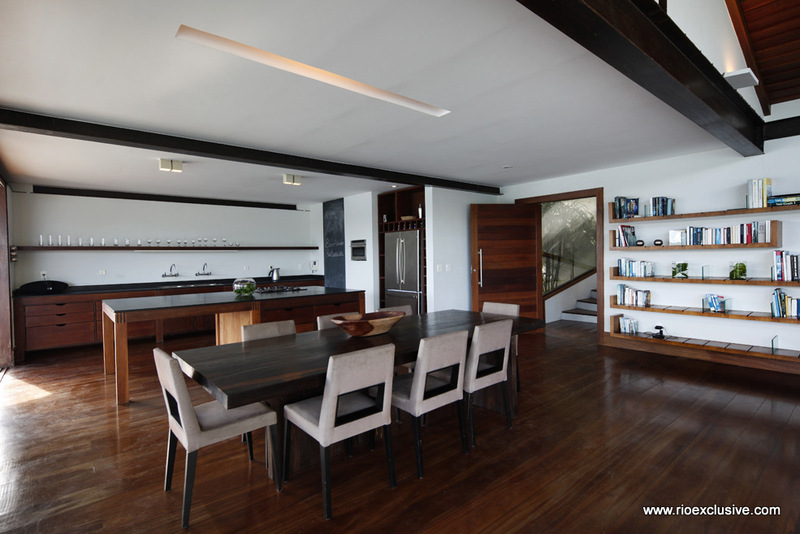 With furnishings carefully chosen by our select team of interior designers the overall effect is one of astounding modernity and creative artistic sensibilities. 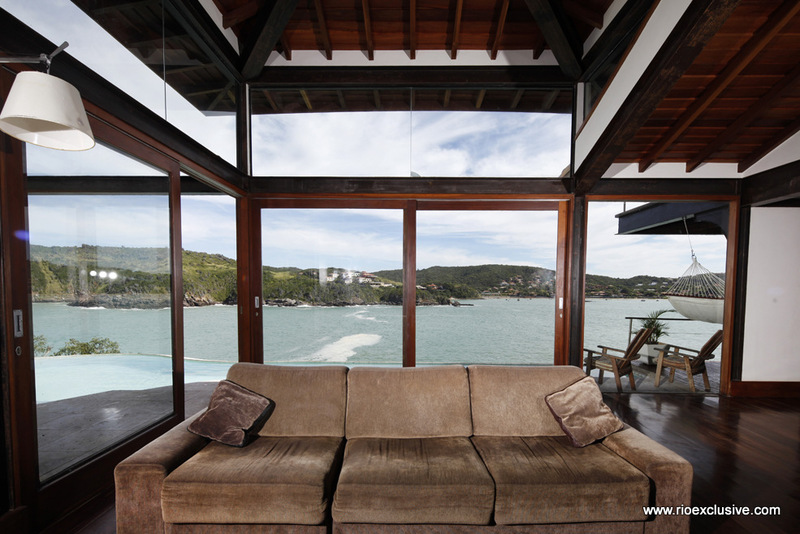 Whether lounging in your luxury suite, gazing across the Ferradura bay from the terrace or socializing in the living room, this property provides a tasteful and unforgettable ambiance. 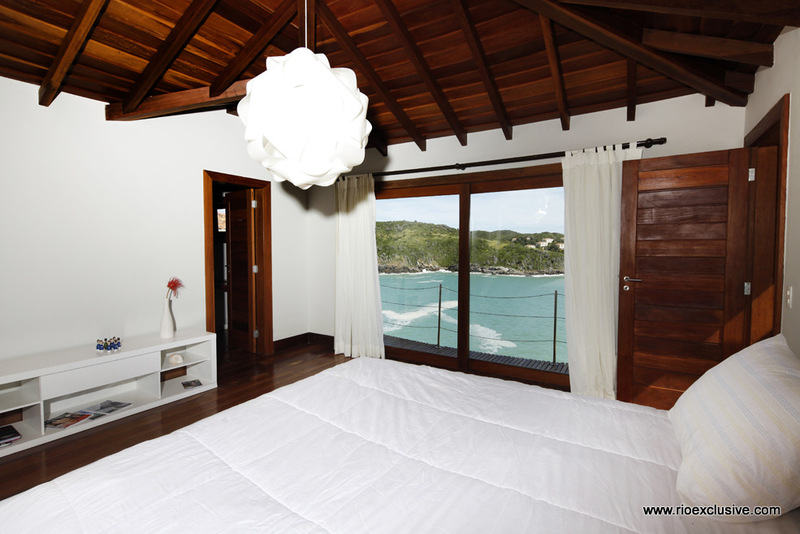 Each of the 5 suites comes equipped with large, comfortable beds suitable for a group of couples. 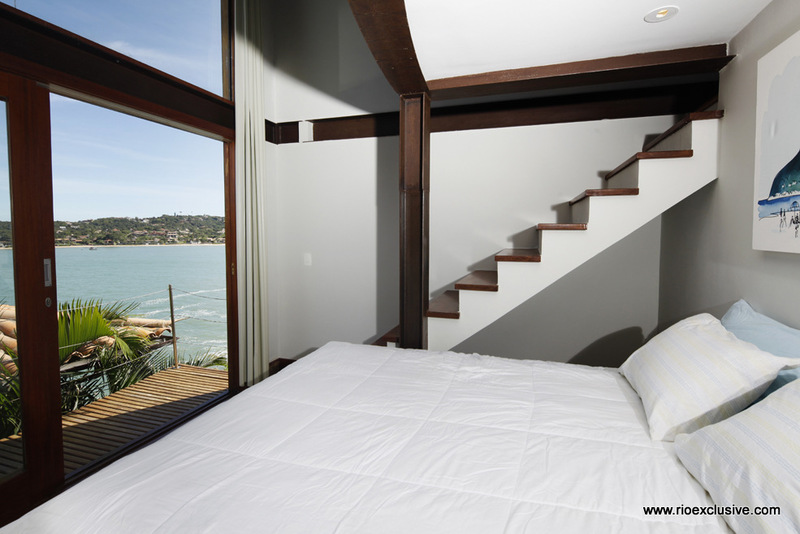 All suites are well air-conditioned and include access to their own private balconies. 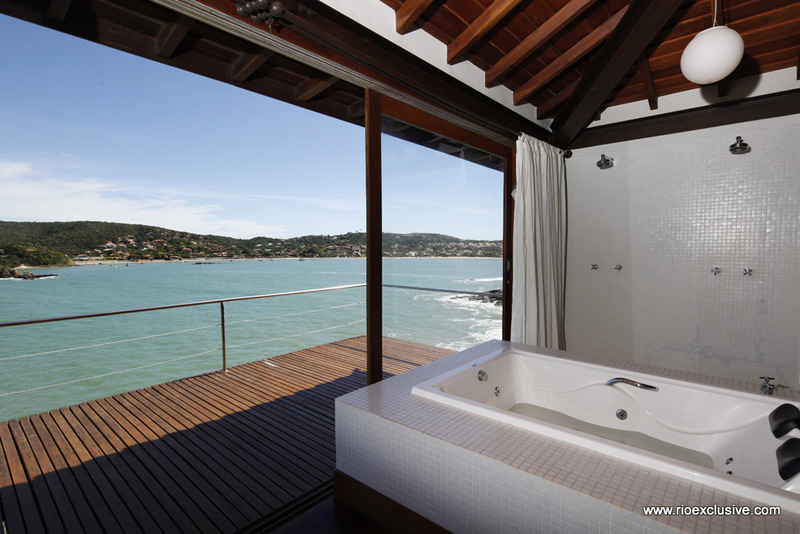 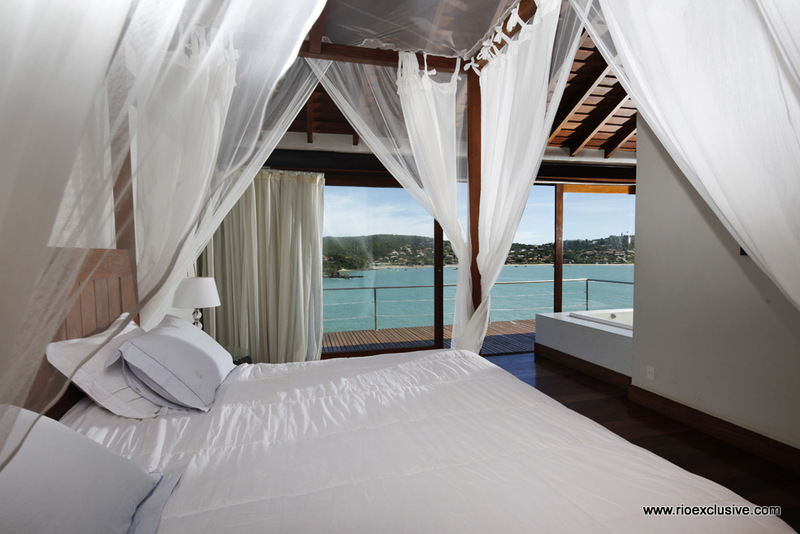 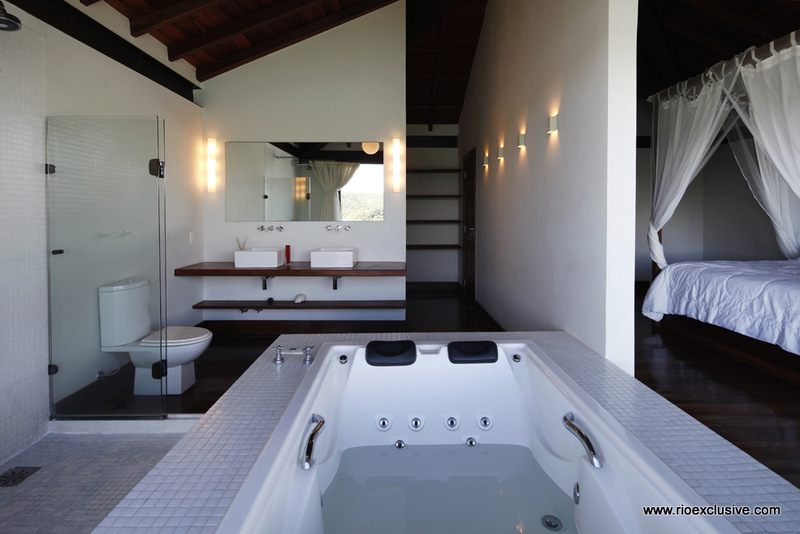 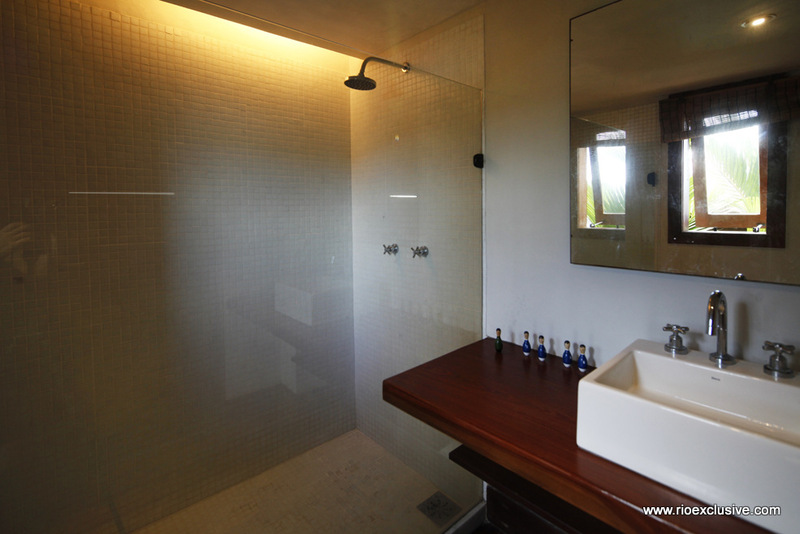 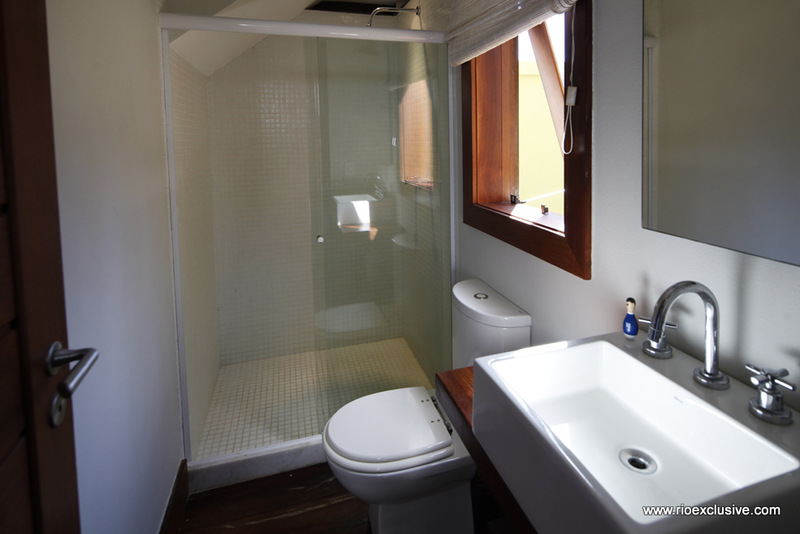 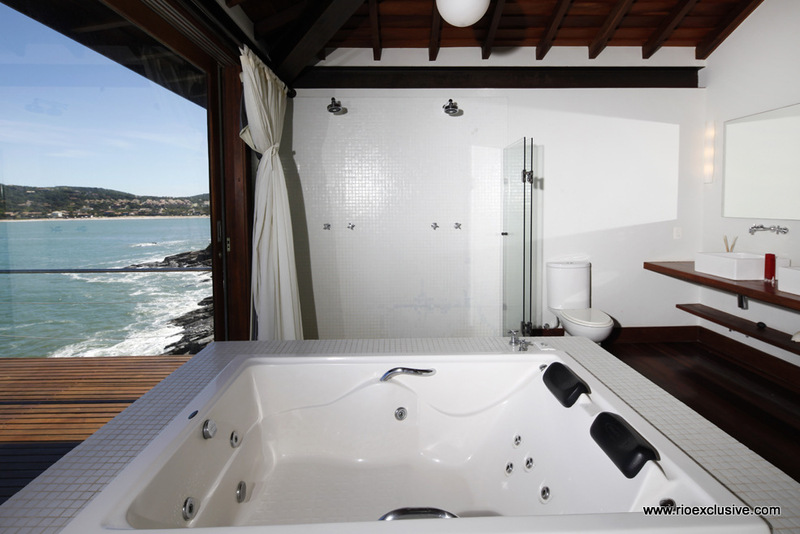 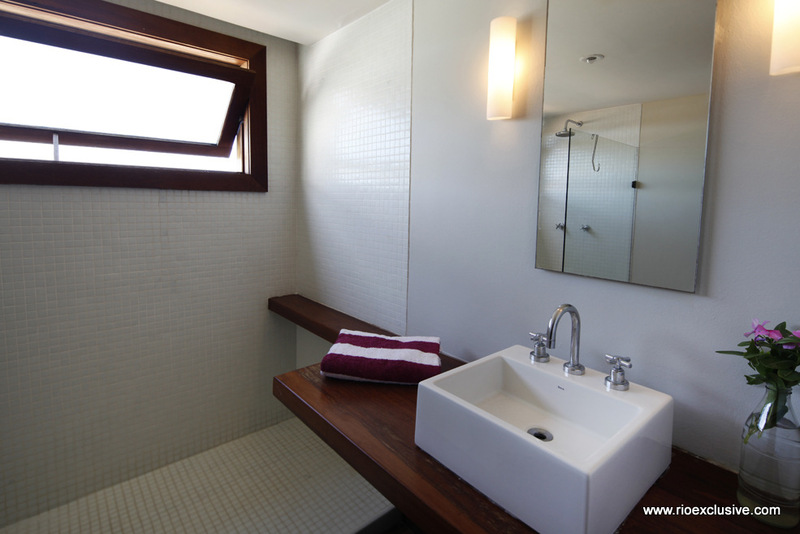 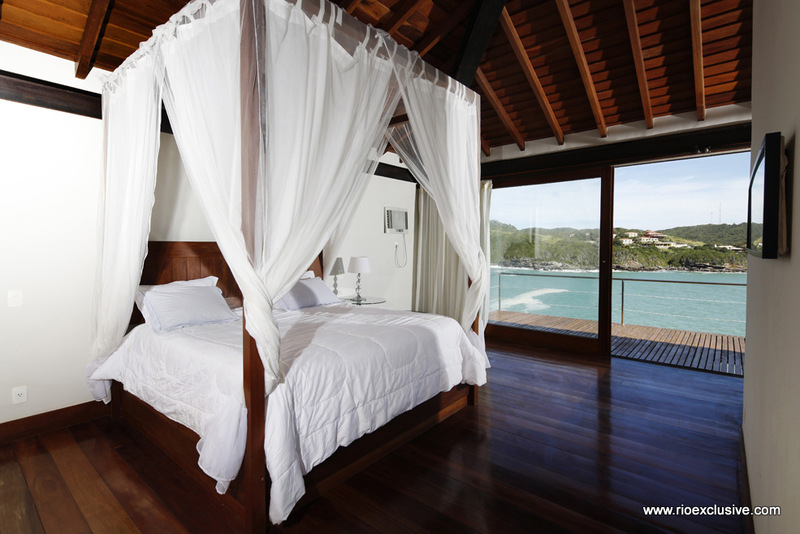 The master suite even comes equipped with its’ own Jacuzzi and a larger balcony with an unforgettable view of the bay. 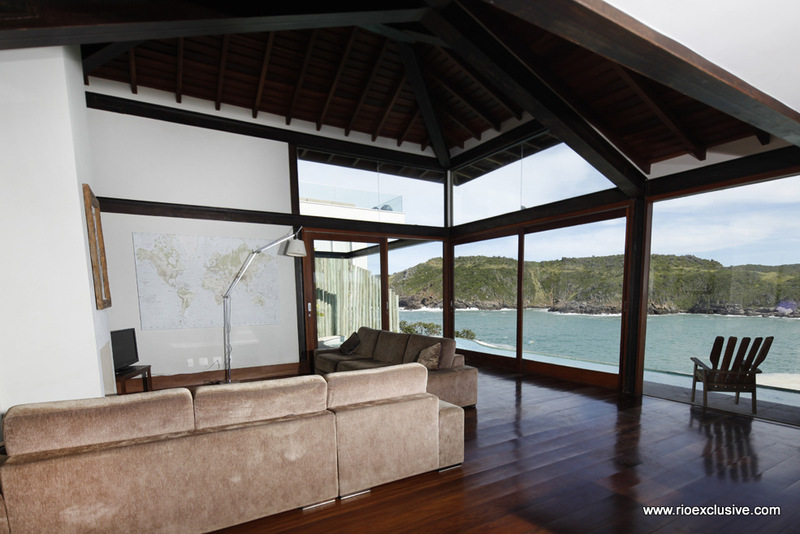 The living room creates an open and spacious environment in which to relax. 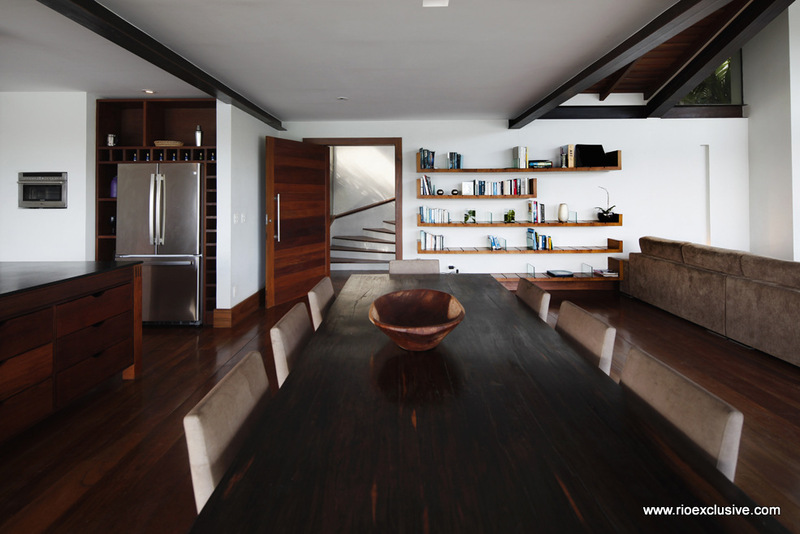 It blends into the dining room and kitchen, each of which is well equipped for everything from light snacks to a sumptuous dinner party. 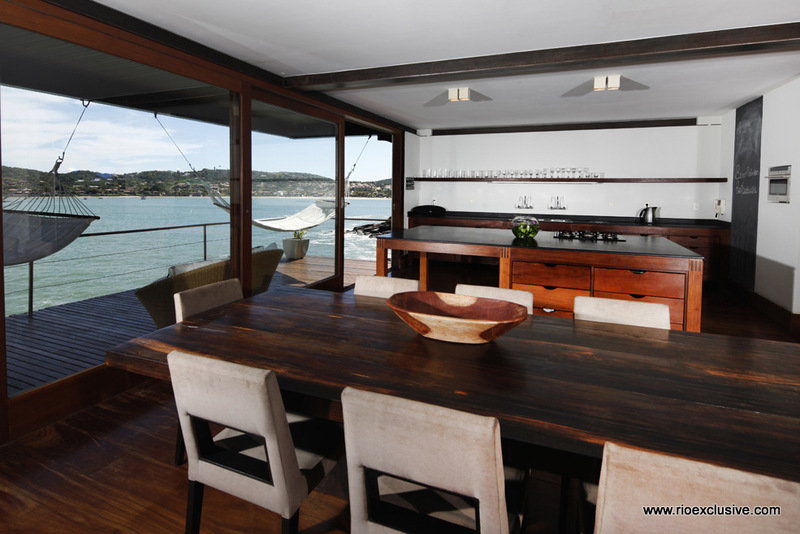 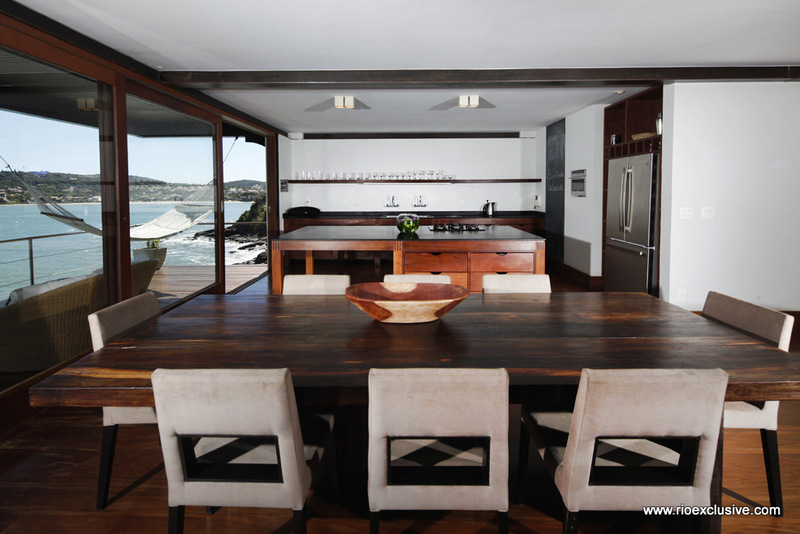 From the kitchen the property opens up on to the beautiful terrace with an unmatched view of the bay. 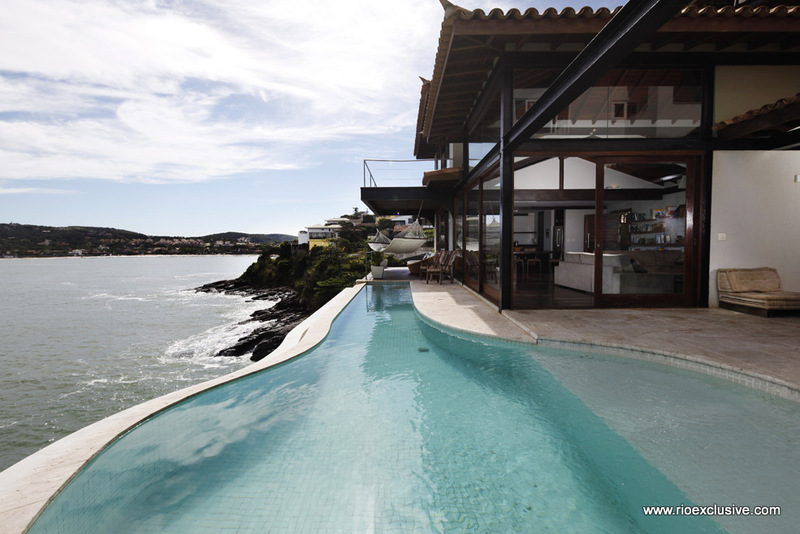 With a deluxe swimming pool built right along the edge it’s perfect for cooling off and enjoying the natural surroundings. 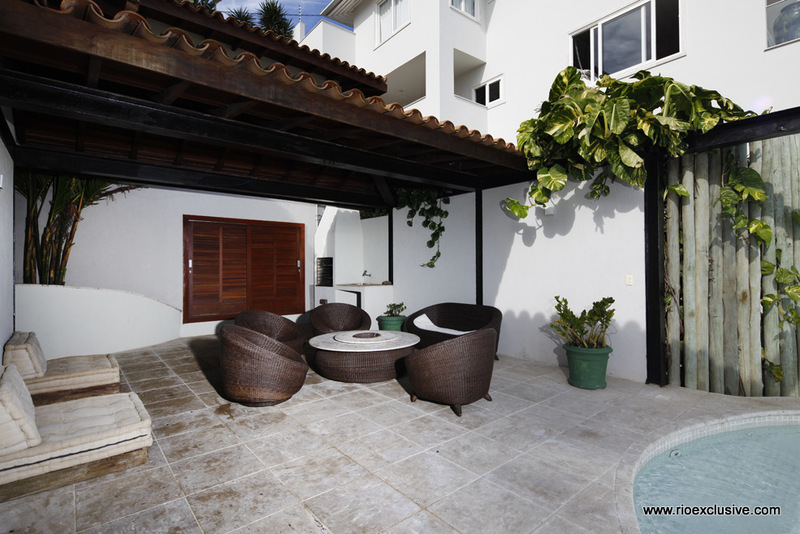 Furnished carefully the terrace even includes a tasteful marble table with a built in cooler for champagne or other drinks.